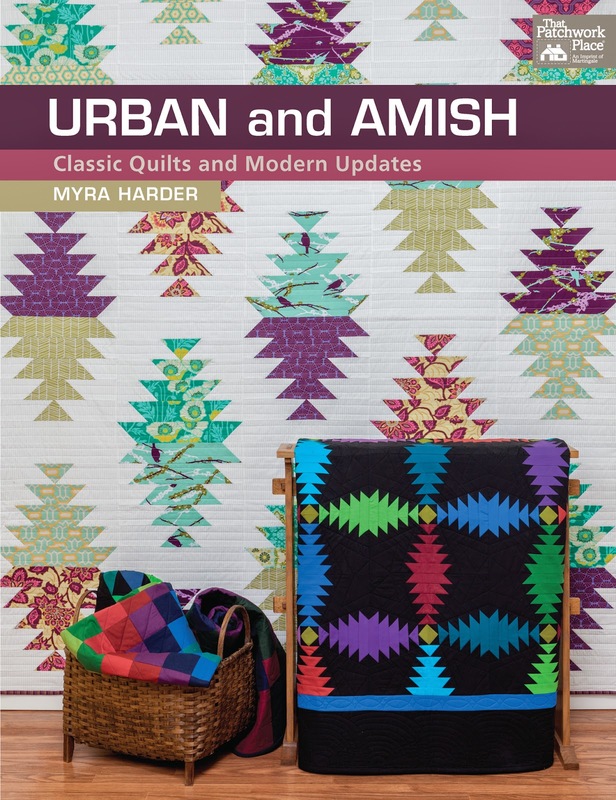 Designer Myra Harder presents time-honored Amish quilts along with a modern reinterpretation of each bold, graphic design. With varied color palettes and construction methods, she achieves dramatically different looks. Myra Harder guides the sewist through a journey in quilt-making. We begin with an Amish style quilt using traditional solid fabrics. This project is then paired up with a more urban looking quilt, using lighter brighter prints. The quilts are very similar in piecing technique, but the with the use of the different fabrics, and slight tweaking of the design, they look completely different. This quilt is called Amish Bars and uses traditional Amish quilt inspired, solid fabric and colours. This next quilt is called Horizon Lines and using the same basic piecing technique, yet different fabrics, this quilt has a whole new look and feel. Urban and Amish will help the sewist achieve effective results whether they prefer classic Amish solids or a brighter, lighter palette in prints. I thoroughly enjoyed this book and recommend it to anyone with an interest in quilt making. It plays on a fun idea of small changes creating new and beautiful outcomes. A worthy addition to any quilt book library. Urban and Amish is available from the Martingale Shop.